Carlos N. Medina, Vice Chancellor and Chief Diversity Officer in the Office of Diversity, Equity and Inclusion at SUNY. 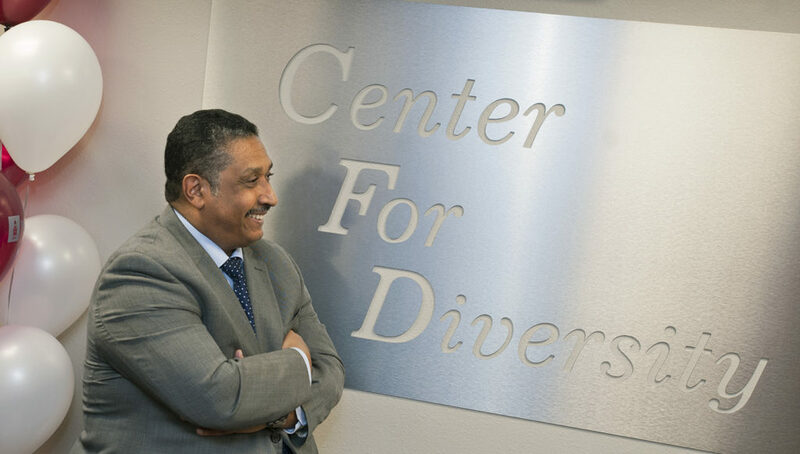 Carlos N. Medina is Vice Chancellor and Chief Diversity Officer in the Office of Diversity, Equity and Inclusion at the State University of New York (SUNY). He is one of only a handful to hold the position within higher education systems nationally. Medina will be honored with an Illustrious Award on Saturday, September 24, 2016 at 6pm at Rutgers University’s Paul Robenson Campus Center located at 350 Dr. Martin Luther King, Jr. BLVD Newark, NJ 07102. He will be honored among distinguished Latino icons of the caliber of the Honorable Arthur O. Eve, the First Dominican elected to Public Office in the United States, Dr. Marcos Charles, co- founder of Hostos Community College, Dr. Gloria Bonilla-Santiago from Rutgers University, Jaime Lucero, CEO of Gold & Silver, Inc, Isabel Nazario, the only Latino Vice President at Rutgers University, NY Commissioner Feniosky Pena-Mora, Martin Perez, Esq., founder of the Latino Leadership Alliance of New Jersey, Tony Ibarria, Publisher of El Especial, and US Senator Robert Melendez. Since August 2011, Medina has led SUNY’s efforts in promoting and advancing the University’s diversity goals and ensuring that they are properly captured within all university policies and procedures. He provides leadership and strategic direction to SUNY campuses in connection with the recruitment and retention of faculty, staff, and administrators who come from groups within our society that are underrepresented in higher education and in SUNY. He currently serves as co-chair of the SUNY-wide Diversity Task Force leading the charge of identifying new ways in which the System’s diversity can be increased to better reflect and be aligned with that of New York State. He is also a member of the Chancellor’s cabinet assisting with strategic planning leading to implementation of SUNY-wide policies and initiatives. He has worked tirelessly to strengthen the intersections between diversity and academic excellence, including spearheading statewide STEM conferences in 2009, 2011, 2013 and 2015 and co-sponsored the “Making Diversity Count” conference in October 2014. He continues to be directly responsible for overseeing the implementation and management of various programs at the graduate and undergraduate levels dedicated to serving underrepresented and economically disadvantaged students, faculty, and staff, and promoting inclusion, student success and excellence within the University. As a result of Medina’s leadership, SUNY has received the prestigious HEED Award for 2012, 2013, 2014 and 2015 from Insight into Diversity Magazine, one of the oldest and largest diversity publications to cover higher education nationally. Recently, he was named as a recipient of the 2016 Public Service Award by the Suffolk County Dr. Martin Luther King Jr. Commission, as well as receiving the 2014 Diversity Visionary Award also given by Insight into Diversity Magazine, in recognition of his outstanding contributions in diversity and inclusion in higher education. He has more than 25 years of progressive responsibility in state government and higher education with proven experience in leadership, management, and staff development. He received his B.S.E. degree from SUNY Cortland, his M.P.S. in Human Services Administration from Cornell University, and his Doctorate in Education at St. John Fisher College in Rochester, NY. He is a member of Kappa Delta Pi. The Illustrious Awards, a signature initiative of The Institute for Latino Studies, documents and highlights the contributions of Tri-State Area Latinos to the advancement of the United States of America. The contributions of Latino icons are video-featured and honored in a professionally produced formal ceremony and Collectible Tribute Journal.